Soccer is one of the most popular sports in the world. It helps build endurance, improve speed and stay in top physical shape. Despite the inherent benefits of soccer, there is also a high chance of injury, especially for high school soccer players whose muscles are still growing and developing. Check out these four common injuries and how to prevent them so you can get out on the field, stay safe and have fun. Sprains occur when one or more ligaments stretch or tear causing the joint to become unstable. The most common sprains in high school soccer occur in the knee, lower leg or ankle and are often caused by soccer players changing direction and pivoting frequently. The anterior cruciate ligament (ACL) is the most common ligament sprain in soccer. 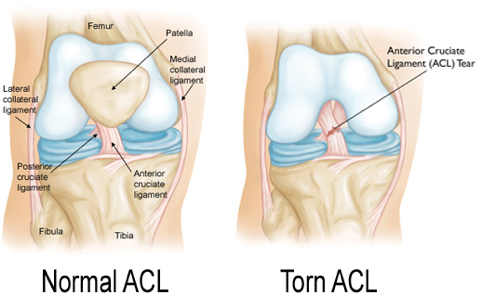 In serious cases, ACL tears might result in surgery. Warming up and doing a series of dynamic stretches (link to dynamic stretching blog) prior to the game. Checking the conditions on the field before playing to ensure there isn’t debris on the field or unevenness in the turf. Ensure your footwear is properly fitted and your foot doesn’t move around unnecessarily in your shoe. Focus on increasing strength in the joints and muscles of the legs and ankles. A muscle contracting hard against resistance. Pulling a muscle excessively at a specific angle and direction. The contraction of a muscle excessively when it’s not prepared to contract. Strains can result in pain, muscle spasms and a limited range of motion that can keep you off the field for a few days to a few weeks. For soccer players, strains are often seen in the groin, hamstring or quadriceps. The best way to reduce the risk of muscle strains is to maintain good strength and flexibility in the muscles through stretching before and after your training sessions and games. You also want to ensure you’re wearing properly fitted cleats with appropriate spikes (shorter spikes on dry, hard turf and longer spikes in softer turf). A fracture occurs when there is a break in the continuity of the bone and is often seen in the lower leg, ankle and foot bones (and occasionally in the wrist as a result of a fall) of soccer players. Fractures are one of the more severe injuries a soccer player can have and takes on average 15 weeks to heal to the point that a soccer player can get back on the field. The good news here is that most soccer players who break a bone will return to compete at the same level as before their injury. Fractures are usually the result of direct or indirect contact. While injuries that result from a jump or hard fall are hard to prevent, wearing protective gear such as shin guards with adequate foam padding that can absorb energy can help prevent fractures from a kick from another player. The two most common overuse injuries in soccer players are shin splints and achilles tendonitis. Shin splints are the cause of excessive amounts of force on the shinbone and the tissues that attach the bone to the muscles surrounding it and leads to pain in the front of the leg. 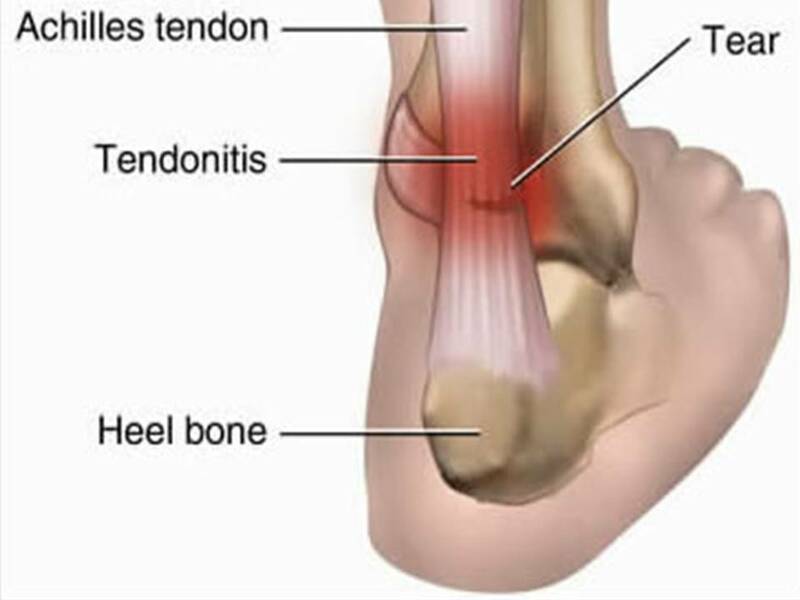 Achilles tendonitis is the cause of any repeated activity that strains the Achilles tendon and leads to painful inflammation. The best way to prevent these and other overuse injuries in soccer players is adequate stretching, rest and recovery. Making sure that your muscles are properly warmed up before activity, cooled down after and that you are resting them adequately between training sessions will help them heal and get stronger minimizing the risk of an overuse injury. The most common head injury among soccer players in concussion. Concussions are usually the result of a collision with another player or improper technique associated with heading the ball. Prevent injury from improper heading technique by practicing using the forehead (not the top of the head) to contact the ball. You should also ensure that you are optimizing your neck muscles to reduce flexion and extension of the neck and reducing head motion. You can also strengthen your neck using exercises that target that area such as shrugs, dumbbell press and lateral, forward, backward and rotational resistance exercises. EXPERT TIP: Other head injuries in soccer include injury to your mouth and teeth or eyes. Ensure you’re always wearing a fitted mouth guard and protective eyewear to shield these areas. In addition to these prevention tactics for each of the different types of injuries, there are a number of things you can do to keep your body in overall health for soccer including warming up prior to every training session, ensuring all of your equipment is properly fitted, staying hydrated, eating a well-balanced diet and listening to your body. Looking for more ways to help prevent injuries? Download our FREE Staying on the Field: 7 Tips to Prevent Injuries eBook.